It would be very telling if there were a data of how many parents are actually charged with a crime as reason for their children being taken from them. My daughter was also taken on allegations alone. My name added to the child abuse registry (for 10 years if no winning appeal) making me unemployable in the field I am trained in, and any other job. Although I did win the appeal very easily with mounds of evidence that the allegations against me were lies, the damage was done and my daughter did not survive. I was never charged with any crime at any time. "When she was on the stand, Anita reports that the judge threatened her with contempt of court when she tried to give complete answers." I had similar experience in court. I was asked a question that had to do with my relationship with extended family members (if I had traveled across the state in order to spent Christmas and all holidays with them - I assume trying to make me look bad if I had not) and I asked what that had to do with my daughter. The judge went into a raging tirad and so angry his face was beet red and he was spitting when yelling at the top of his voice at me on the stand about "just answer the questions" and "you have no right to interupt or to direct the questioning" kind of thing.. He of course ruled against me at the end of the "Hearing.". 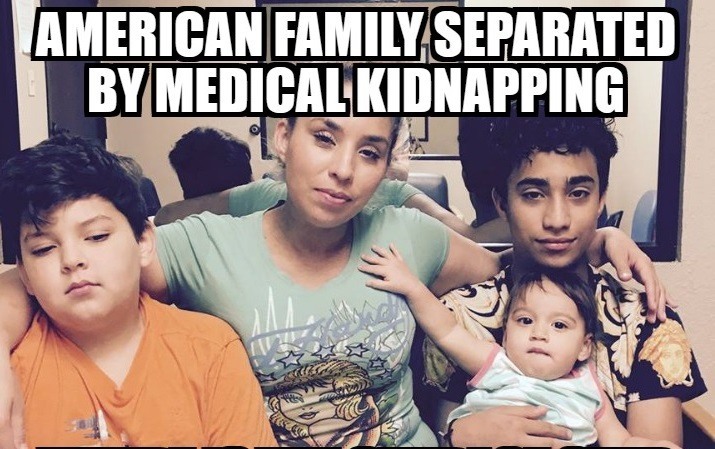 But within a few hours he added to his ruling that my daughter was to be returned to me and back home as soon as the medical facility they had her in said she was safe (medically) to travel. They had her taken five states away from home and me. Of course she did not survive the many experimental "treatments" and surgeries they performed on that poor child. I was then given her body after her death. After they were done with her. After she could no longer have spoke out against all who tortured her and broke many many laws and medical/hospital protocols. Their actions were "knowing" to them and were very deliberate which means they murdered her. I am praying for this family.